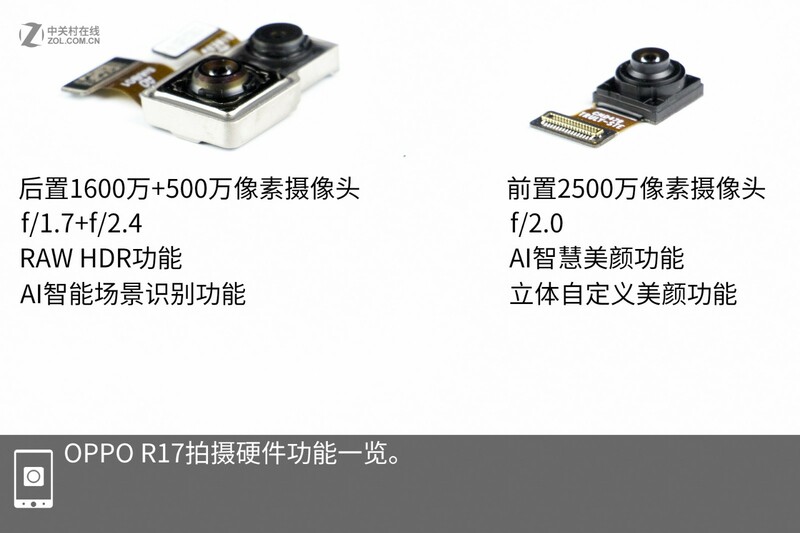 Last month, OPPO officially held a new product conference to launch its new flagships- the OPPO R17 and the OPPO R17 Pro. 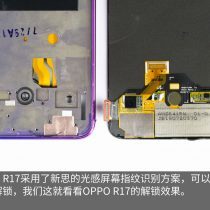 The OPPO R17 is the smartphone which first features Corning’s six-generation Gorilla Glass, and it comes with the optical under-screen fingerprint scanner. 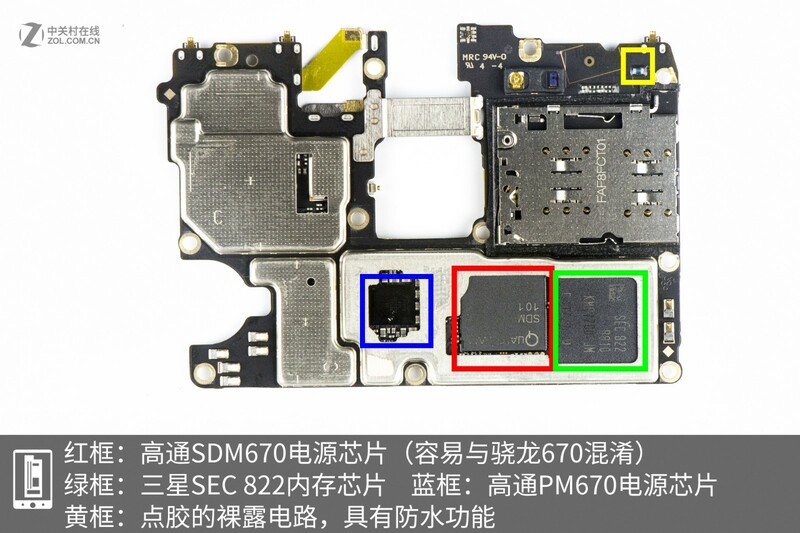 Besides, with AI dual-rear cameras, this flagship is powered by Qualcomm Snapdragon 670 processor. 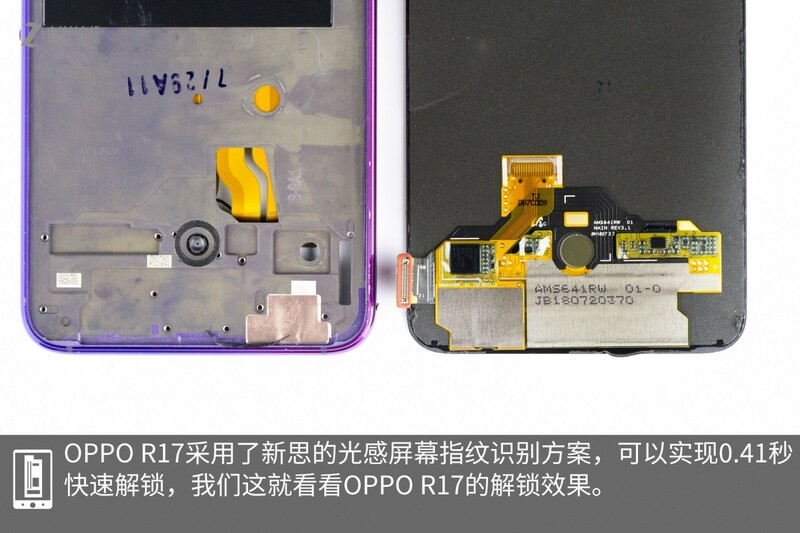 Today, let’s start the teardown of the OPPO R17 to see its internal design and explore the secret of the optical under-screen fingerprint scanner. 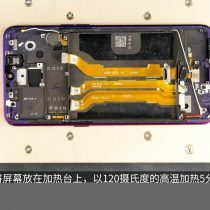 First of all, remove the SIM card tray. 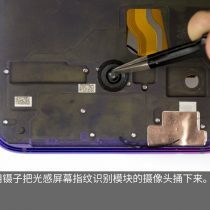 Then, use a sucker to make a slot appear between the phone body and the back cover, and next separate the back cover from the phone body with a plastic pick. 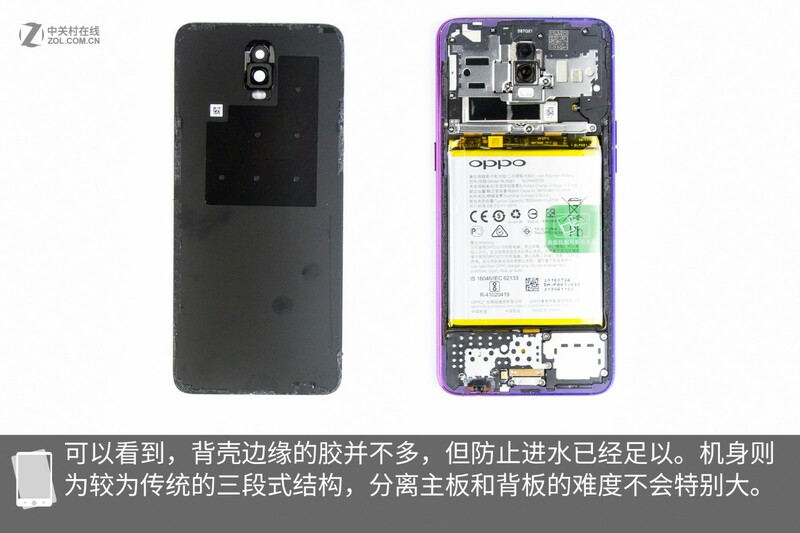 Now, the back cover is removed. 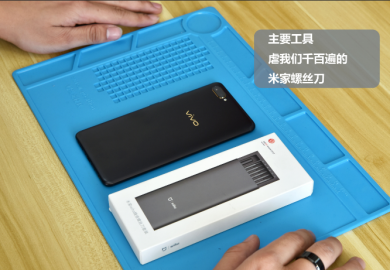 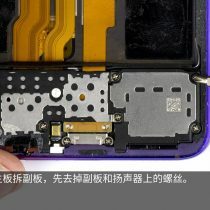 Though there is not much glue applied on the verges of the back cover, the glue is enough to prevent vapor from entering. 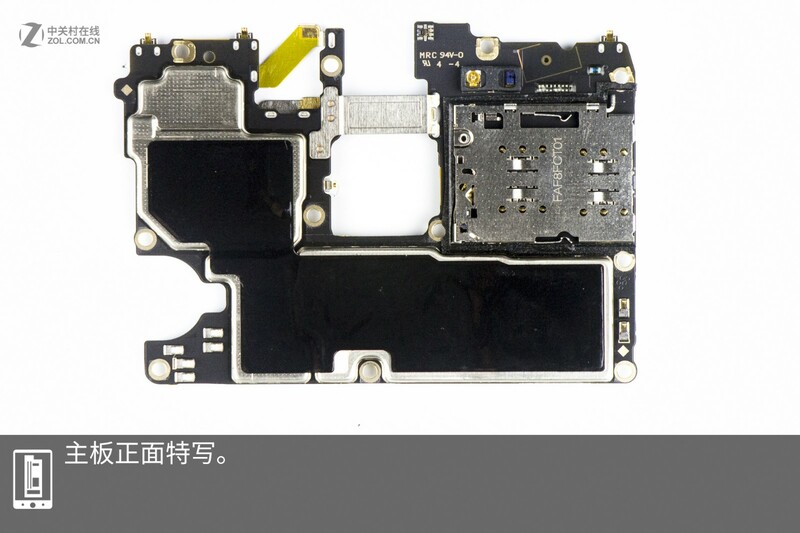 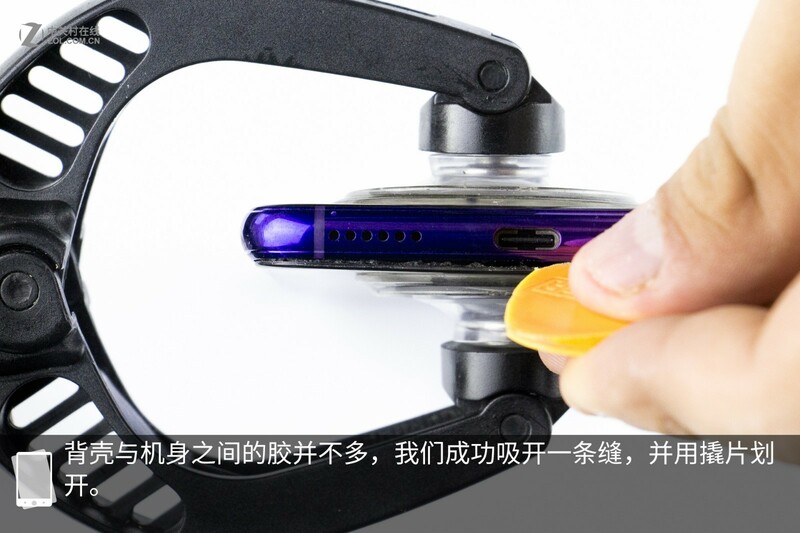 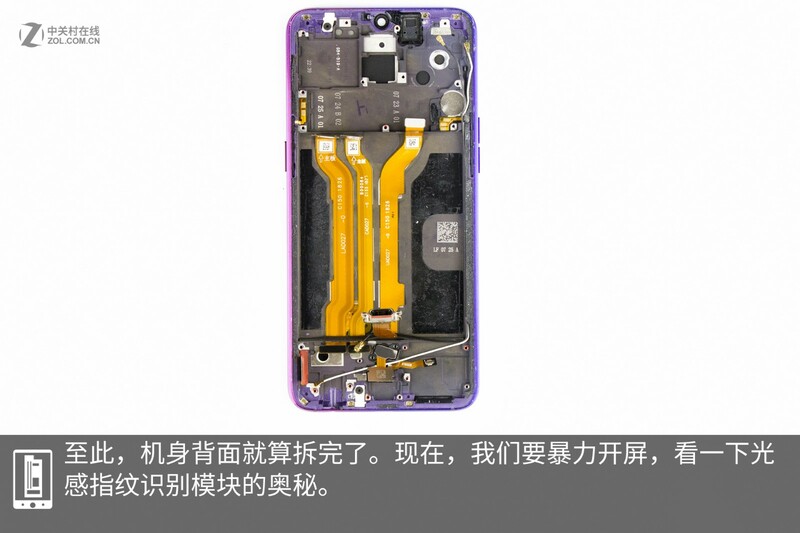 Besides, we can see that the phone adopts a traditional three-stage design inside. 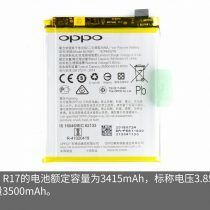 It sports a 3415mAh battery. 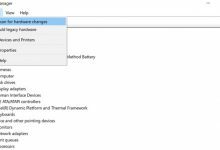 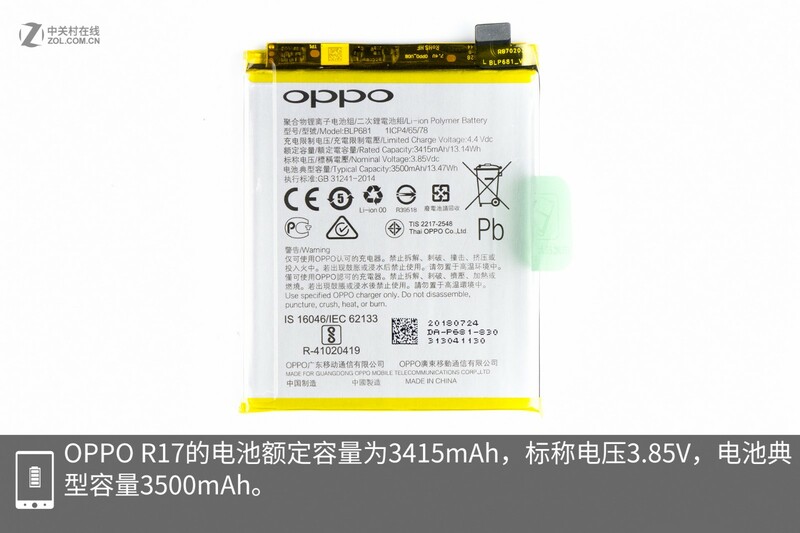 Its normal voltage is 3.85V and typical capacity is 3500mAh. 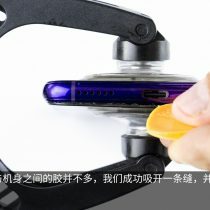 Now, remove the plate. 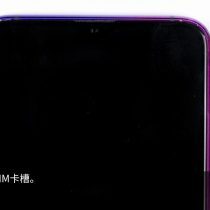 The smartphone features a 16MP+5MP dual-rear camera setup(F/1.7+F/2.4) which supports RAW HDR technology and AI scene recognition. 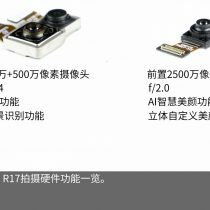 Besides, it comes with a 25MP F/2.0 front camera for the selfie which supports AI Beauty function. 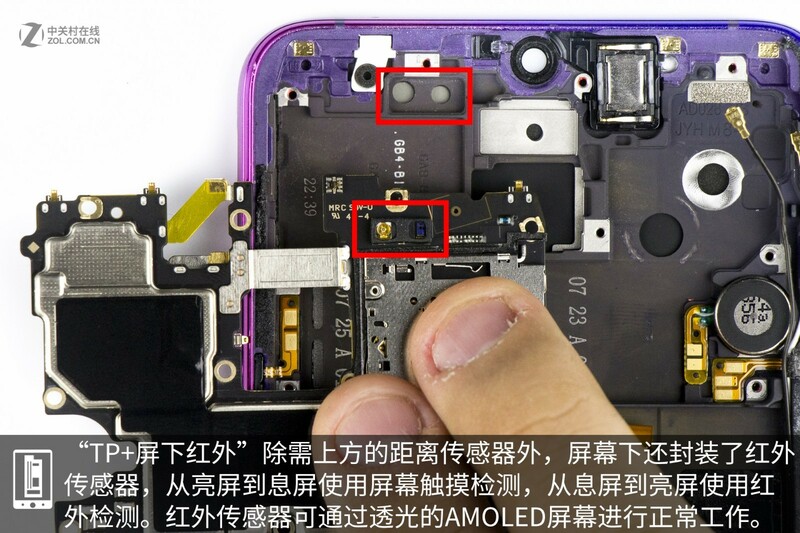 Except for the proximity sensor under the screen, there is the infrared sensor below it. 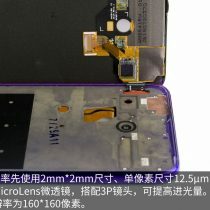 The infrared sensor can work normally through the AMOLED screen. 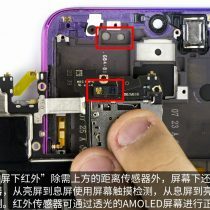 The light sensor and the light pipe are placed in the same place. 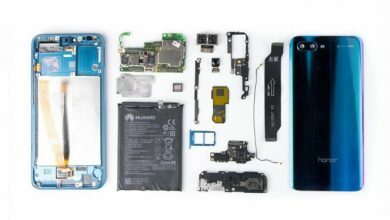 Two components can be separated from each other. 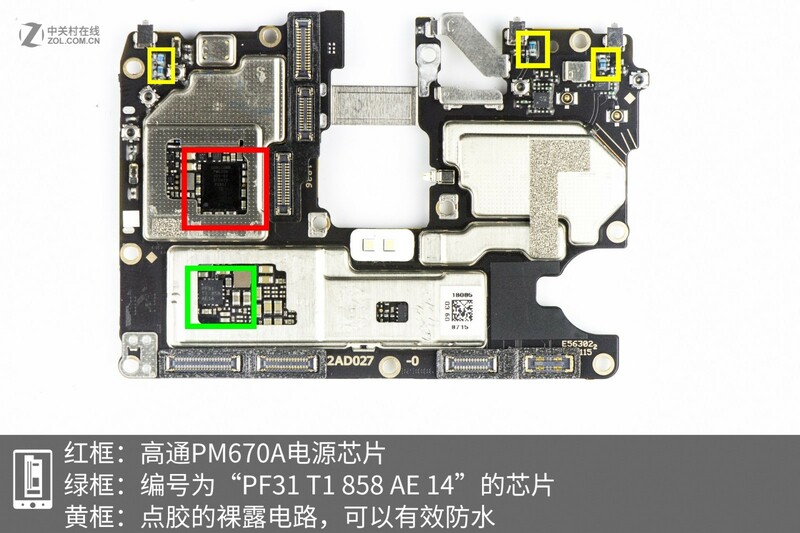 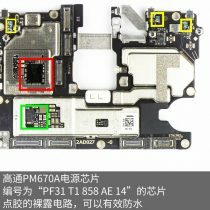 The part circled red is Qualcomm’s power management chip – the PM670A; the component circled green is a chip whose model number is PF31 T1 858 AE 14; and the part circled yellow is the bare circuit with glue, which can effectively resist water. 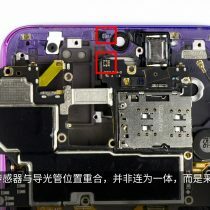 From the picture, we can see four parts. 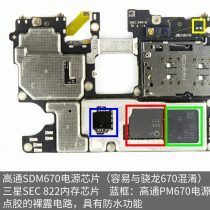 The part circled red is Qualcomm’s power chip – the SDM760; the part circled green is Samsung’s memory chip – the SEC 822; the part circled blue is Qualcomm’s power chip – the PM670; the part circled yellow is the circuit with water resistant function. 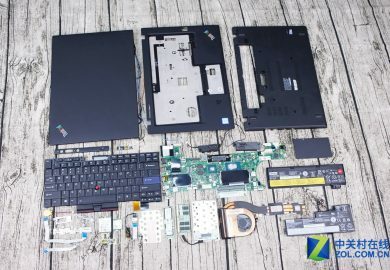 After removing the motherboard, I’ll take out the vice board. 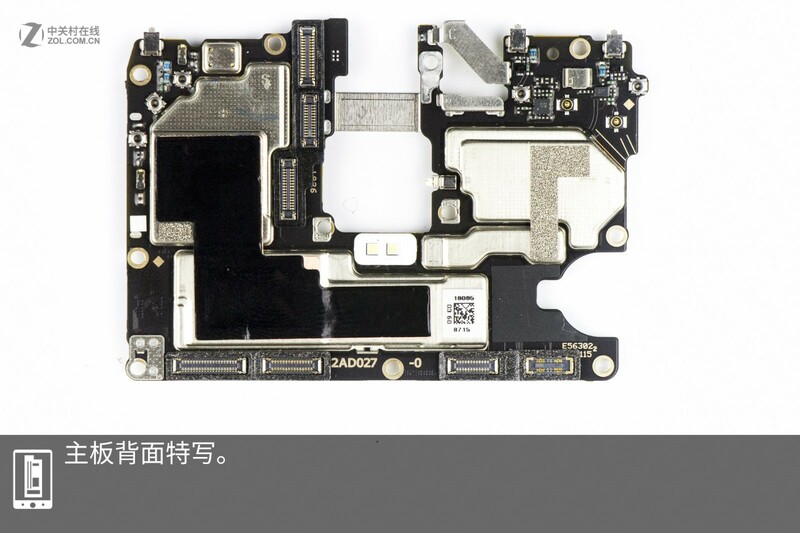 Firstly, remove the screws on the vice board and the speaker. 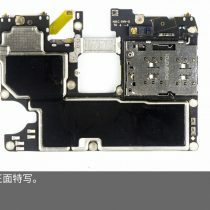 Until now, I have finished the teardown on the back of the vice board. 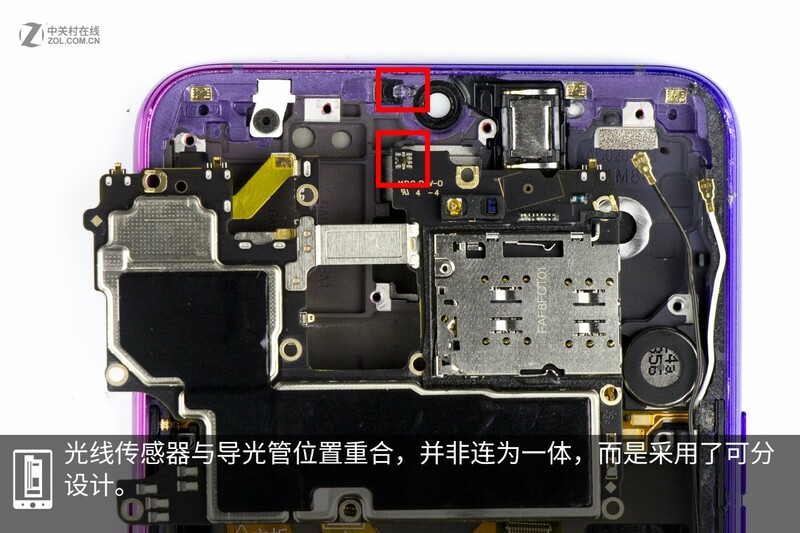 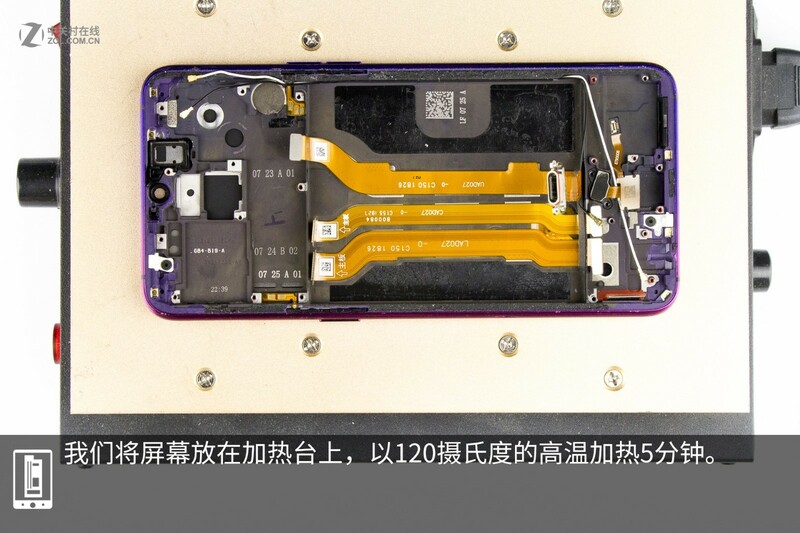 Then, I’ll remove the screen violently to explore the secret of the optical under-screen fingerprint scanner module. 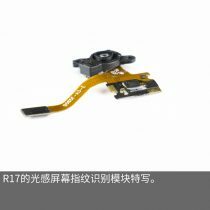 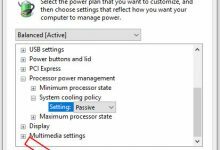 Place the screen on a heater to heat up it under the temperature of 120℃ for five minutes. 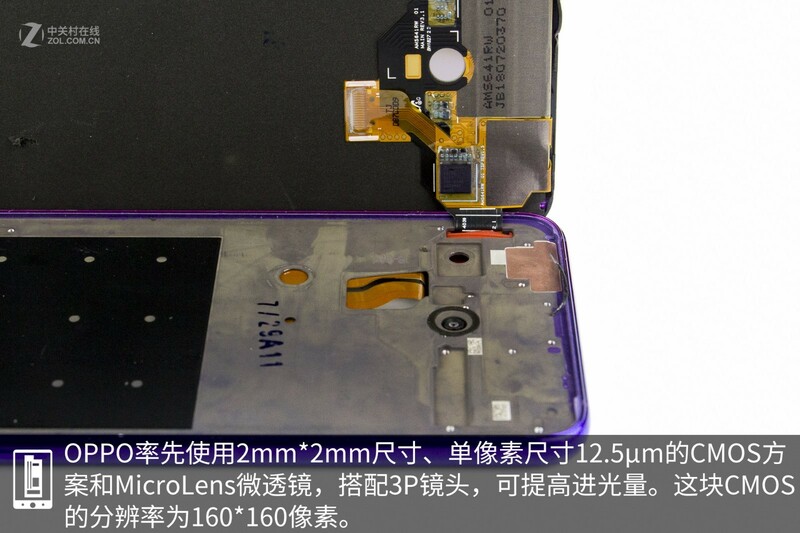 This screen adopts a 2mm x 2mm 12.5um CMOS scheme, the MicroLens, and 3p camera to let more light in. 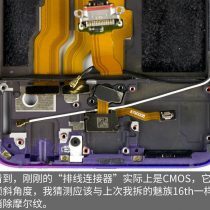 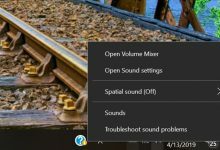 The resolution of the CMOS is 160 x 160 pixels. 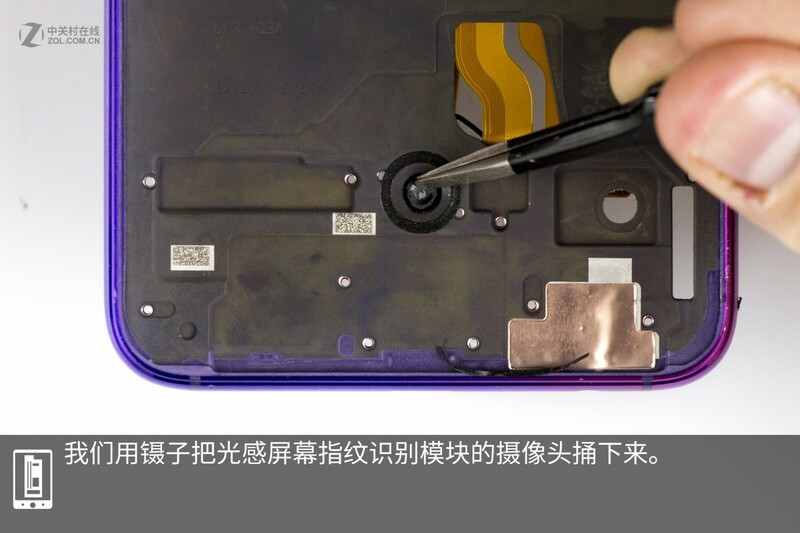 It adopts Synopsys optical under-screen fingerprint scanning scheme which can achieve 0.41-second quick unlock. 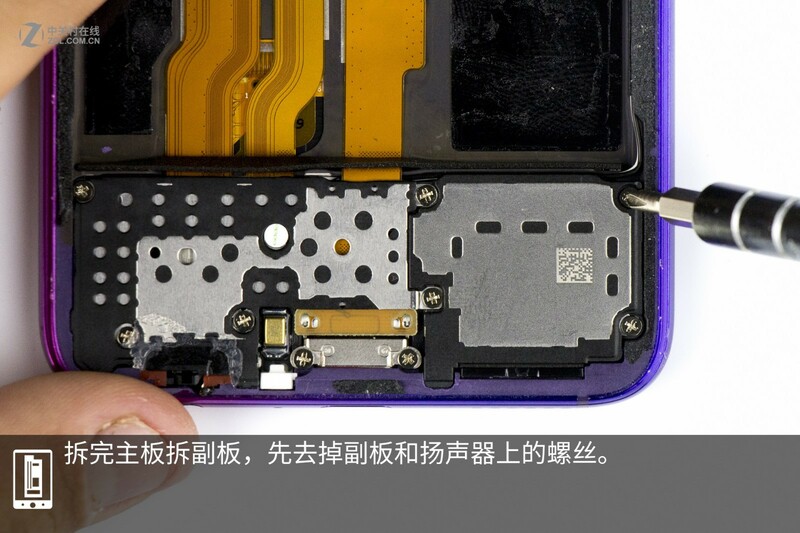 It’s the video which shows the unlock effect of this under-screen fingerprint scanner. 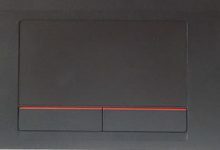 The cable connector is CMOS with a certain tilt angle. 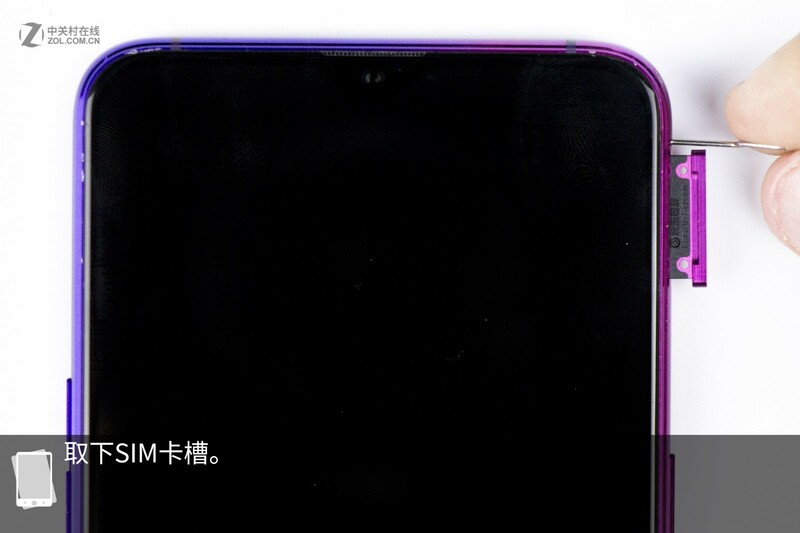 I assume that this design is to erase moire just as the Meizu 16th does. 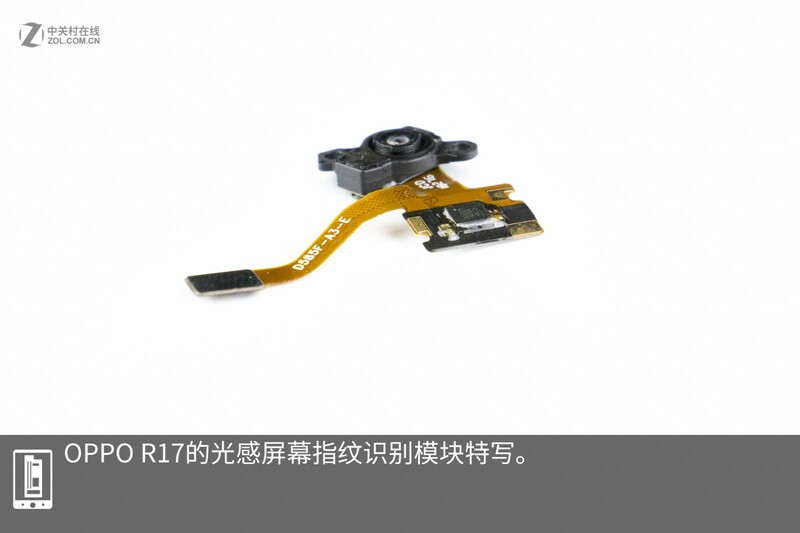 Take out the optical under-screen fingerprint scanning module with tweezers. 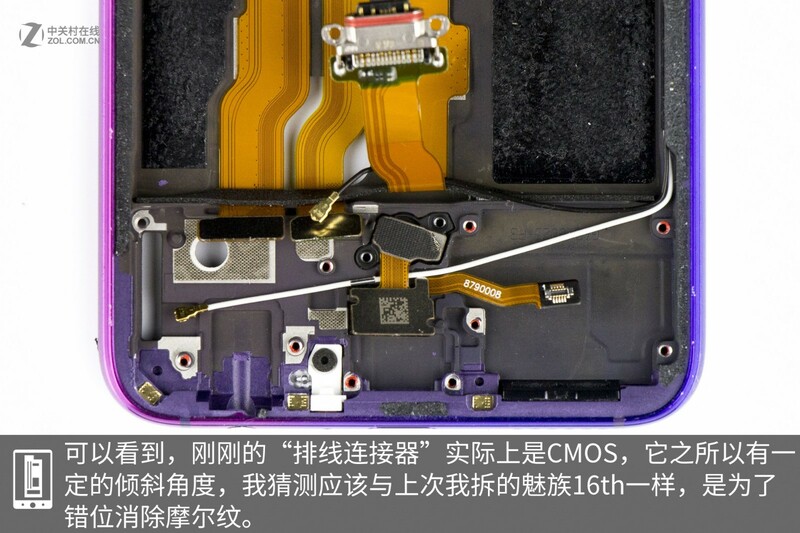 It’s the optical under-screen fingerprint scanner module. 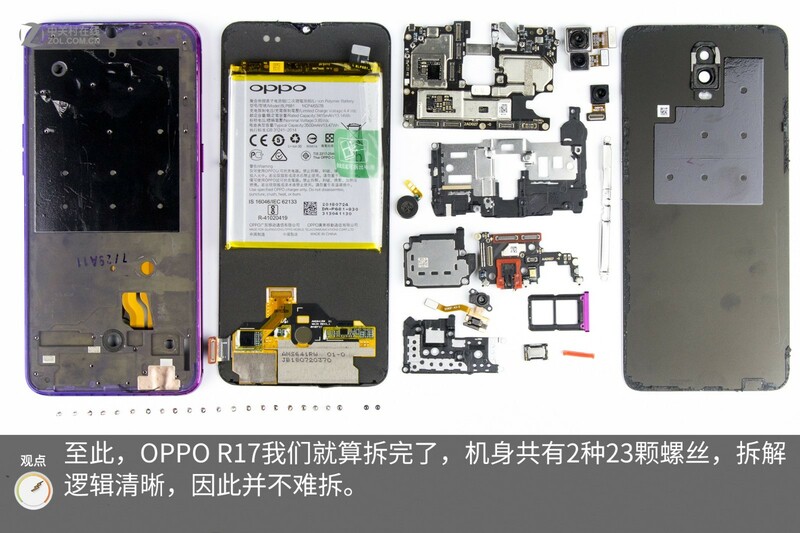 Now, the teardown on the OPPO R17 is finished. 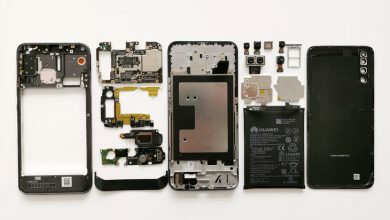 This flagship has used 23 screws in two different types, and the teardown process is quite easy. 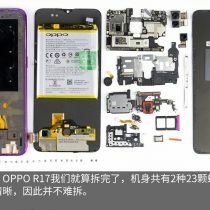 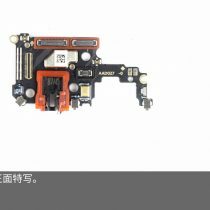 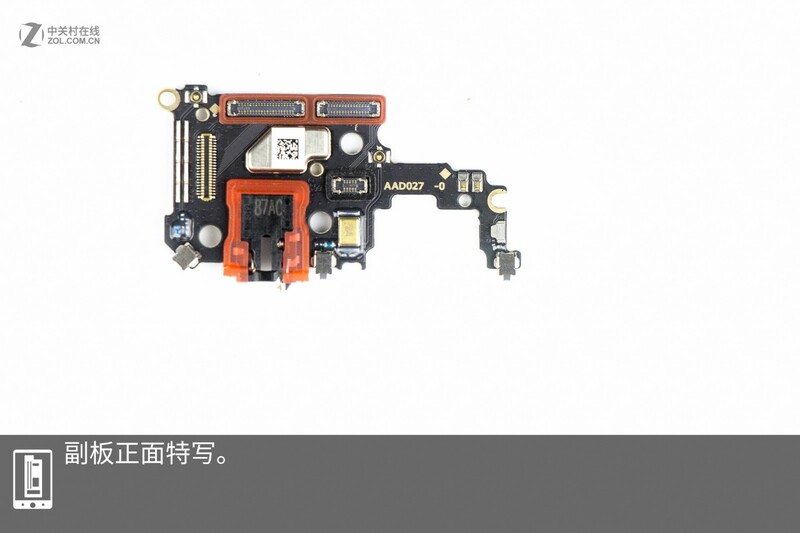 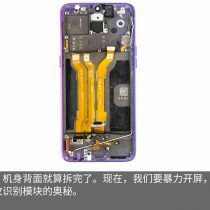 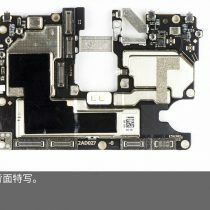 For more OPPO phone teardowns, please check out OPPO category page.